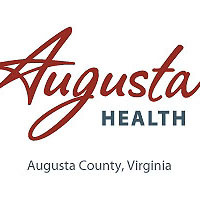 Augusta Health Cancer Center’s Annual Report recently won a Gold Aster award for excellence in health-care marketing. The publication was a collaborative effort among departments providing services to cancer patients and families at Augusta Health, and highlighted both the comprehensive cancer center’s clinical treatment programs and its array of supportive services. More than 20 departments and several physicians provided articles and information—including feature articles, statistical information, and program descriptions—to the publication. Becky Marcum was the designer, Kevin Blackburn provided professional photography, and the publication was printed by Mid Valley Press. The Aster Awards, hosted by Marketing Healthcare Today magazine, is an elite program that recognizes healthcare professionals for excellence. Participants compete against similar-sized organizations; judging criteria includes creativity, layout and design, functionality, message effectiveness, production quality and overall appeal. Gold Awards are earned by entries scoring between 95 and 99, placing them in the top 5% in the nation. This year, the Aster Awards competition attracted approximately 3,000 entries from across the United States as well as Canada and South America.